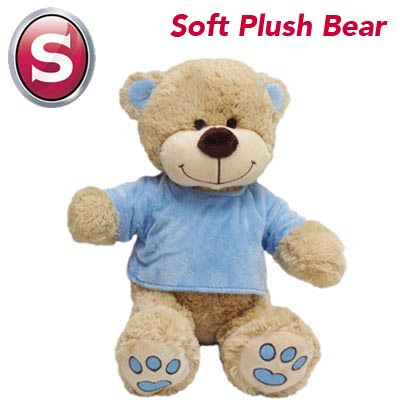 Soft Plush Bear with a velour top that can be removed. Size: 25cm tall when in sitting position. Made in Cotton/Polyester mix fabrics. Note: When ordering, please outline what name you want added to the product in the relevant box at our payment checkout stage.